PHILADELPHIA, PA, February 27, 2013 – Philadelphia-based AFL Global, LLC met today with Philadelphia City Councilman David Oh to discuss possible ways the city can further support their efforts to introduce indoor professional arena league football to mainland China. It was an opportunity to welcome key Chinese executives from Beijing to the city and show support for the AFL Global efforts underway to launch a new league there in 2014. Led by CEO Martin E. Judge, Jr., AFL Global detailed its plan to begin an intensive football training program at Beijing Sports University this May. This will be a formal training of coaches and officials from all across China. 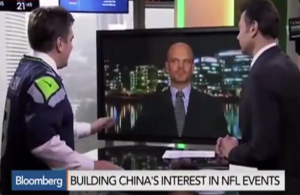 Joining Marty were David Wu and Hong Gang from the Ganlan Media International (GMI) office in Beijing, along with former-Eagle quarterback Ron Jaworski, who is also a key player in this effort. “I am very excited for GMI to be the key driver in bringing AFL to our home country of China,” says David Wu. “We expect this to be very successful. 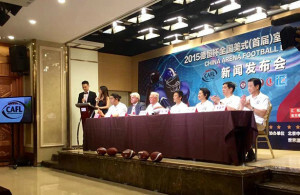 Marty and the entire AFL Global team have put together a terrific plan.” AFL Global plans to hold two AFL exhibition games there in October, one on October 12 in Beijing, the other one week later on October 19 in Guangzhou. This will be the first time professional American football will be played in China with the support of the Chinese government. Philadelphia city officials are pro-actively working to help connect local companies to this effort. Marty Judge certainly understands the power of having an International presence. His own company, the Conshohocken-based Judge Group, has been doing business in China since 2008, with offices in both Beijing and Shanghai. He sees Philadelphia playing a big part in the launch effort. 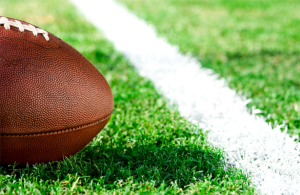 “Philadelphia is the birthplace of America and the NFL so it’s only natural that taking football into China should come out of our great city,” said Judge. AFL Global, LLC is a company created by Martin E. Judge, Jr. with plans to introduce and launch professional American Arena Football in China. For more information, go to www.AFL-Global.com.